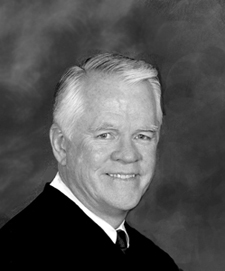 Judge Waldrip graduated from Stanford University and the University of Utah College of Law. He started his legal career in the trial department of a large regional firm in 1967. He left as a senior partner in 1980 and opened his own firm, the Law Offices of Stuart T. Waldrip, APC, where he pursued a successful career and a business and malpractice litigator for 16 more years before being appointed to the Court. Even before becoming a judge, Judge Waldrip served regularly as a judge pro tempore for the Court. Over the years, he has presided over hundreds of settlement conferences, arbitrations, mediations, and other judicial proceedings. He retired in 2002 and has been a mediator and arbitrator in Utah and the western US since 2005. As a complement to his legal career, Judge Waldrip has served in numerous bar and civic organizations. He has received many awards and honors, including being President of the Orange County Bar Association and receiving the Franklin G. West Award, its highest honor. He was also the inaugural recipient of the Stuart T. Waldrip Award for lifetime achievement from the Constitutional Rights Foundation of Orange County. In 1991, he was inducted as a Fellow of the prestigious American College of Trial Lawyers. With over 40 years of experience as a successful mediator, arbitrator, litigator and jurist, Judge Waldrip has a reputation as an even-tempered, fair-minded, very capable jurist, with a talent for bringing reluctant opposing sides together. His final assignment before retiring from the Court was as a member of the elite Complex Civil Litigation Panel. He presided over complex construction defect, product defect, class action, malpractice, mass tort, condemnation and other large and difficult civil cases. Most of those cases were resolved by settlement with Judge Waldrip’s help. He has a rare combination of firmness, experience and understanding that make him the ideal neutral. Since 2005, Judge Waldrip has been affiliated with the well-known ADR provider, Judicate West, in California (www.judicatewest.com). Of course, he is also affiliated with Intermountain Dispute Resolution (IDR-www.idr-adr.com) in Utah. He recently retired after several years as an Adjunct Professor of Civil Trial Practice at BYU Law School. He has a passion for helping others resolve disputes. He brings his significant experience as a mediator, arbitrator, judge and litigator to the table as valuable assets to assist you in resolving your client’s dispute. Approximately 80% of voluntary mediations he has handled have settled either at the mediation or shortly thereafter. Judge Waldrip makes his home with his wife, Susan, in Midway, Utah.